Welcome to the April 2017 edition of our newsletter Paris Panorama! 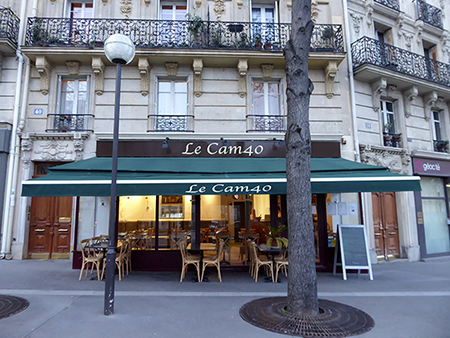 Le Cam40 offers an authentic French dining experience and fresh, delicious, innovative cuisine at mid-range prices. 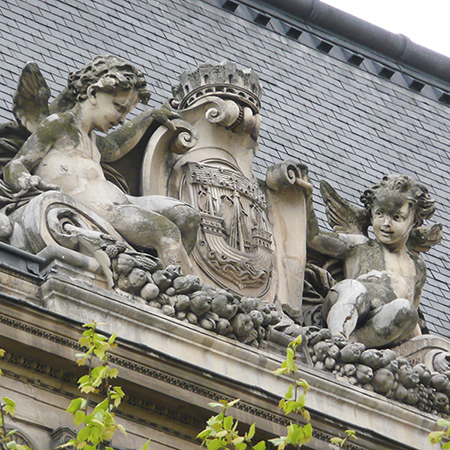 A duo of mischievous angels with dirty faces and fetching smiles pose above an administrative annex of the Hotel de Ville, Paris’s town hall. Together. 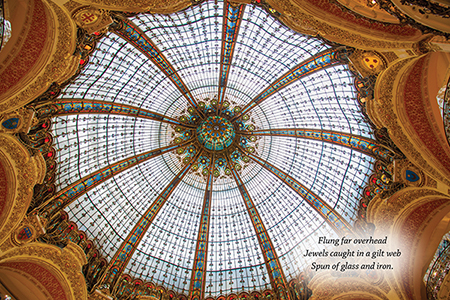 they display the seal of Paris, featuring a three-masted vessel sailing on the Seine River. A narrow band of fleur-de-lis recalls the French monarchy, while a crown of crenellated towers above evokes the ring of medieval fortresses that once encircled the city. This heraldry was used by the powerful guild of water merchants, who for centuries controlled the lucrative river trade, and stamped their public and private documents with a cachet representing a boat. 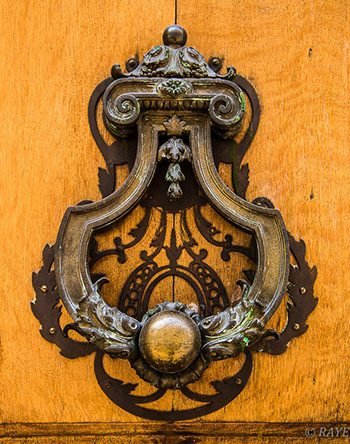 The emblem was adopted by the city of Paris in the 14th century; modern versions of it are now found on facades of train stations, schools and mayors’ offices.